A common conflict between development and veteran trees centres on the protection of the rooting environment. Difficulties exist due to the subterranean nature of this important part of the tree, concealing it from view. The Ancient Tree Forum and the Woodland Trust have long drawn attention to this often overlooked part of the tree, emphasising the importance of healthy soil, mycorrhizae and roots and the need for appropriate management of the land around veteran trees. In November, the Forestry Commission and Natural England updated their standing advice, Ancient woodland and veteran trees: protecting them from development. This document sets out the principles planning authorities should consider for developments affecting ancient woodland and veteran trees. The standing advice picks up from the National Planning Policy Framework with regards to the importance of veteran trees and the need for their protection. Together these documents state that planning permission should be refused if proposals involve the loss or deterioration of veteran trees, unless the need for, and benefit of, development in that location clearly outweigh the loss (see the note at the end of this article for more info). The loss of a veteran tree is clear cut and easily defined; in such circumstances local planning authorities would weigh up the loss against the need for and benefit of development when determining an application. However, the deterioration of veteran trees is perhaps less black and white. The standing advice requires developers to identify aged and veteran trees as part of tree surveys and to show different root protection areas on plans. The Ancient Tree Forum and the Woodland Trust consider that all ancient trees and mature veteran trees should be recorded in Category A3 in accordance with BS5837:2012. The standing advice also recommends a larger root protection area for veteran trees, ‘at least 15 times larger than the diameter of a veteran tree’. Previous guidance – BS5837:2012 – recommends the minimum root protection area to be a 12 times larger with a cap at 707m2 (15m radius). However, do root protection areas based on an arbitrary calculation enable an informed decision to be made regarding the retention of veteran trees without ‘deterioration’? In 2017 the Ancient Tree Forum attended the ARB Show with the aim of encouraging arborists to think about the rooting environment around veteran trees. A number of talks and demonstrations were held at the Ancient Tree Forum tent, which was situated adjacent to two veteran oak trees. Sharon Hosegood, Ian Lee and Noel Durdant-Hollamby from Sharon Hosegood Associates Ltd joined the Ancient Tree Forum for the weekend. Sharon and Co. brought with them their TreeRadar. 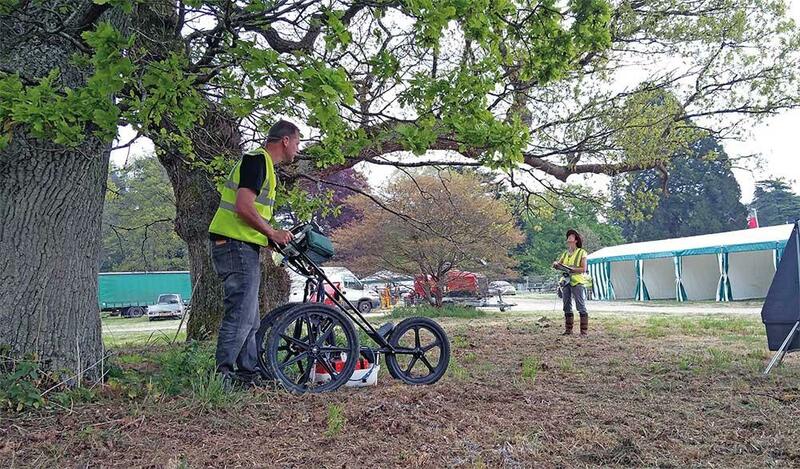 This piece of equipment is able to record live tree roots, in excess of 20mm diameter, down to a depth of 3m, enabling the root system of a tree to be mapped without excavation. The aim for the weekend was to investigate the extent of the root system of one of the veteran trees and share the findings with attendees of the show. In advance of the show Sharon and Ian set about scanning the land around the tree to produce a map of the tree’s roots. In addition to the scan, trial holes were dug in certain sections to ‘ground truth’ the results. The results of the scan were consolidated and displayed on a screen ready for visitors to see. The findings were extremely fascinating. The tree is rooting down to 2m. Interestingly, the roots are all below 15cm deep, which is not surprising as the ground is so compacted; this well-used area sees a mixture of pedestrian and vehicular traffic. It is well documented that heavily compacted soil dissuades roots from growing, and it is evident that this is the case with this tree. Figure 1 illustrates a ‘virtual trench’ of one of the scan lines. This compaction was confirmed by our trial pit hand digging. 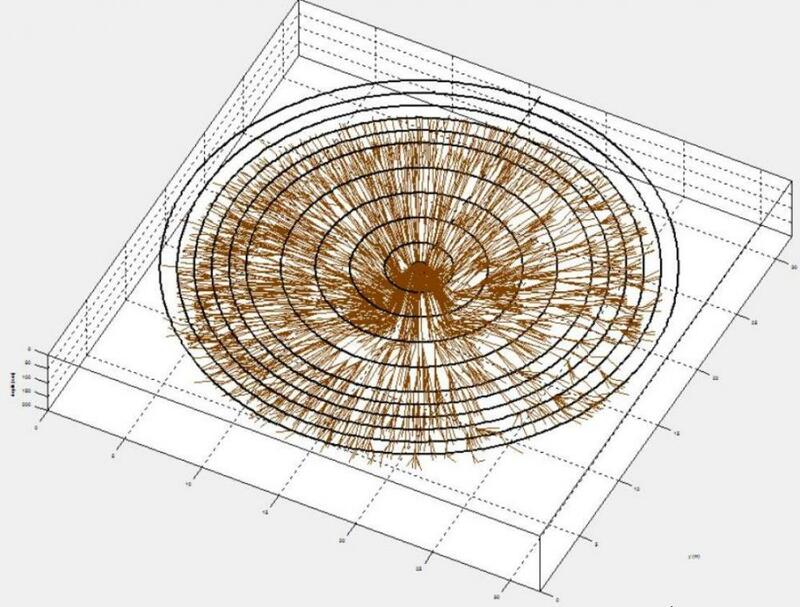 A series of concentric circles, 1m apart, around the tree were scanned. 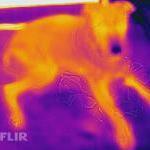 Due to the presence of obstacles, this scan did not extend as far out as we would have wished. Therefore, in addition a straight line from the trunk out to 23m was also scanned. This straight-line scan found roots along its entire length. This adds to a growing body of evidence illustrating the full extent of root systems. Previous scans undertaken by Sharon Hosegood Associates found roots from an oak at the Burghley Estate (Lincolnshire) out to 22m and, more recently, on trees in Bournemouth out to 15 × stem diameter. It is clear, based on this research on veteran trees (oaks and a yew), that the standard 12 × stem diameter is not a reflection of rooting patterns of open-grown veteran trees. TreeRadar only picks up roots with a diameter greater than 20mm (other antennae are more sensitive, but data interpretation is more complex). It should be mentioned that this is just part of the picture; tree root health is so much more than woody roots. Figure 2: Root morphology map of the Westonbirt veteran oak. This is not the full extent of the roots, but the inner circle of the rooting area. Note that some of the roots are from the adjacent oak. 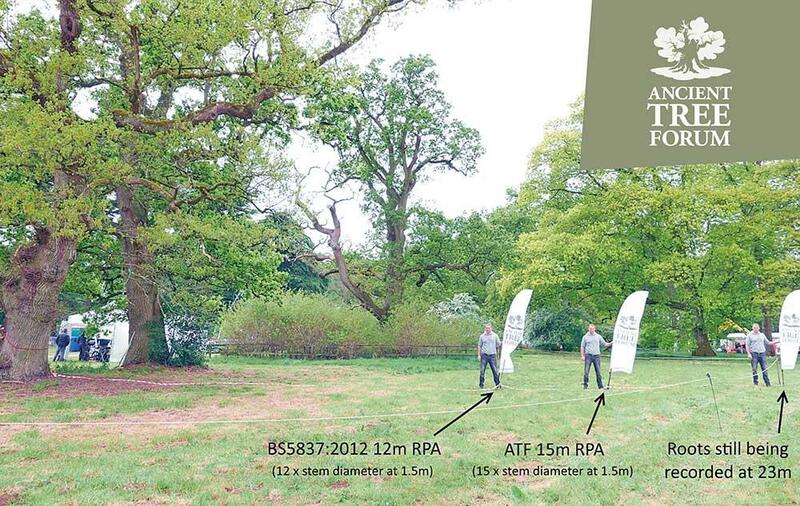 If the Westonbirt veteran oak was on a development site, and the guidance for calculating the root protection area from BS5837:2012 was followed, this tree would receive a minimum root protection area of 452m2 (circle with a 12m radius). Assuming the guidance from the standing advice was followed, a minimum root protection area of 707m2 (circle with a 15m radius) would be provided. 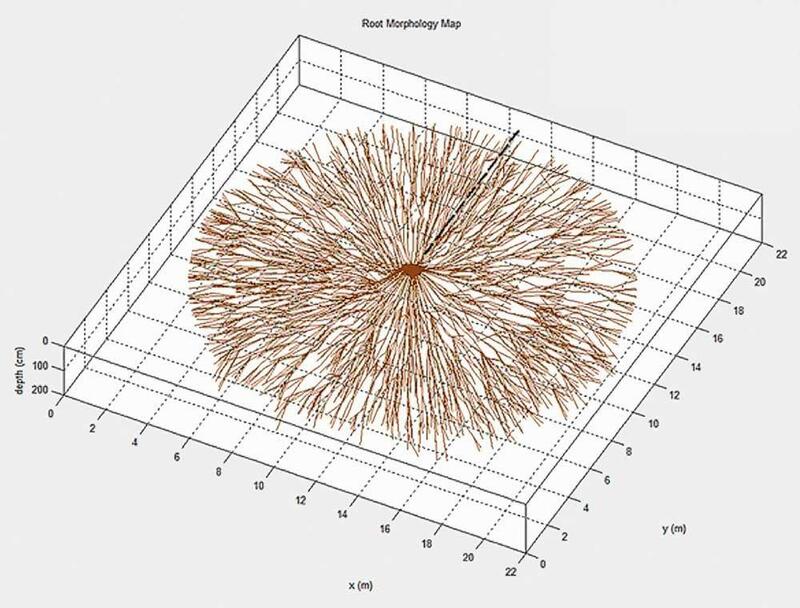 Picture 1 illustrates the different root protection areas alongside the known minimum root spread; significant roots (>20mm) were still being detected 23m from tree. Using this tree as an example, it is clear that part of the root and mycorrhizal system would be lost if only the roots in these root protection areas were retained. It would be considered poor practice to prescribe the same recommendation for crown management of all trees across the country based on an arbitrary calculation, but this is seen as standard practice for the rooting environment. 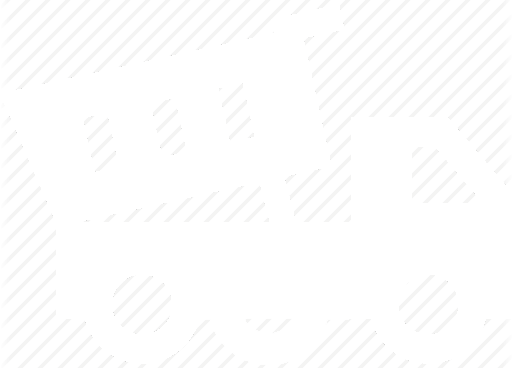 What is unclear is at what point the balance shifts from ‘recoverable damage’ to ‘deterioration’. The timescales these trees operate over can span several human lifetimes, making it difficult to link cause and effect. Trees can be pushed past the tipping point, but may take tens of years for symptoms to show. Ted Green, Ancient Tree Forum founder-president, spoke at the 2017 Arboricultural Association Amenity conference emphasising five words: ‘Stress means pests and diseases’. This simple mantra should be adopted by all who are responsible for managing trees. Powdery mildew of oak (Erisyphe alphitoides and E. quercicola) has increased in prevalence in the past 30 years. These fungi are particularly damaging to the lammas leaves on oak, giving them a white powdery covering. Among other damaging effects these fungi have, the fungal mycelium causes constant evaporation of water that would normally be regulated by the leaves’ stomata, thereby exacerbating the impacts of dry summers. Powdery mildew is most prevalent in the south-east, the area of the country with the lowest rainfall. Chalara dieback of ash (Hymenoscyphus fraxineus) has made headline news since 2012 when it was first discovered in the UK. First thought only to affect younger trees or those recently planted out from nurseries, it has subsequently been found that this fungus is not limited to these trees. Research has shown that stressed trees are more susceptible to the fungus. Oak decline has presented itself in various episodes during the last 100 years. The symptoms of this disorder are dieback in the canopy and stem bleeds. Until recently this disorder was little understood. However, work by Monck & Fay has presented evidence to show an increase in symptoms related to reduced soil health. Whilst not a panacea, a healthy soil (and associated extensive root/mycorrhizae system) reduces the likelihood of trees succumbing to these disorders; a good supply of water from the roots can help buffer the potential impacts of powdery mildew, and healthy soils reduce the likelihood of stress, reducing potential impacts of ash dieback and oak decline. More information is required to enable us to move away from an arbitrary calculation and towards an evidence-based approach, informed by individual circumstances. Only then can we determine how far roots of veteran trees grow, and how many roots can be damaged or lost before the tree deteriorates. The building of anecdotal evidence, and increasing use of non-invasive technology such as the TreeRadar and ARBOTOM, provides the opportunity to accurately identify the location of roots for an individual tree. However, until such a time that this becomes commonplace, a precautionary principle approach is suggested. The adoption of the larger root protection area, as a minimum, to enable the retention of healthy soil and root/mycorrhizal system will provide these trees with the greatest chance for survival, not just during the next 10, 20 or 40 years but for the rest of their lifespan. Supporters of the Ancient Tree Forum have gathered anecdotal evidence over a number of years illustrating the distances roots of veteran trees can travel; the Westonbirt oak is yet another case to add to the list. In the next edition of The ARB Magazine we will present some of the examples collated to date, with the aim of stimulating discussion on this topic. If readers have examples they feel would be valuable to the discussion, especially if these can be supported by photographs or written records, the Ancient Tree Forum would like to hear from you. Please email training@ancienttreeforum.co.uk. Paragraph 118 of the National Planning Policy Framework (2012) states: ‘When determining planning applications, local planning authorities should aim to conserve and enhance biodiversity by applying the following principles: … planning permission should be refused for development resulting in the loss or deterioration of irreplaceable habitats, including ancient woodland and the loss of aged or veteran trees found outside ancient woodland, unless the need for, and benefits of, the development in that location clearly outweigh the loss …’. Ancient woodland and veteran trees: protecting them from development, standing advice from the Forestry Commission and Natural England, reads: ‘… leaving a buffer zone at least 15 times larger than the diameter of a veteran tree or 5m from the edge of its canopy, if that’s greater’. In addition to recommending a larger multiplication figure, this advice does not set a maximum radius (BS5837:2012 sets this at 15m). The Ancient Tree Forum would like to thank Sharon Hosegood Associates Ltd and Frank Rinn (RINNTECH) for attending the show to help map the veteran tree’s roots with the TreeRadar and ARBOTOM. Thanks also go to Paul Melarange, Luke Steer, Luke Barley, Sally Clark, Jill Butler and Ted Green for helping deliver such a successful programme of events at the Ancient Tree Forum tent. Before construction, several actions can be taken to conserve roots, and trees: aerating, inoculating, fertilising (per need), weeding, and mulching the soil among them. Soil probing is minimally invasive, but yields valuable information. Facts are much more reliable than formulas. Might calling for larger RPA "until we get more research" backfire? When large areas are claimed as essential, the conclusion is often to remove the tree because of a formula! Tree radar investigation on another well-known veteran oak (Diam. 1.8m) showed the roots extending to about 15m. (as it happens). Had one based an RPA on fifteen times the diameter it would have meant an RPA of radius 27 metres. Obviously fine roots extend well beyond where radar can pick them up, but in this case 27m would seem to be way in excess of what's necessary. Arbitrary rules, whether they state the RP radius is 12 x diam or 15 x diam are just that - arbitrary. "More information is required to enable us to move away from an arbitrary calculation and towards an evidence-based approach, informed by individual circumstances. Only then can we determine how far roots of veteran trees grow, and how many roots can be damaged or lost before the tree deteriorates." Too true. The larger roots on the lower side of the image take a turn after the second ring. I wonder why? That white area looks ripe for inspecting, and improving, soil conditions. I'll be asking Santa for that kit. during a walk around we did with the ATF, David informed us that they had had root radar done on some of the oaks near a path in Hampstead Heath woods. It was quite interesting to know this technology is now being used with good results. Has anyone else use this with good results?